I imagined walking through the snowy woods, like I used to do around my parent’s house, and like I will again when I go back for Christmas. It’s cold, but the snow is clean. Everything is so quiet. 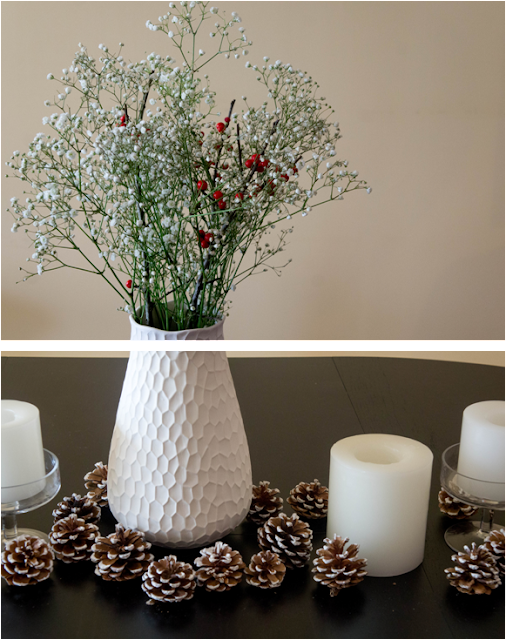 The colours are the white of snow, the green of the pine trees, the brown of bare branches, the reds of winter berries. I tried to recreate that peaceful, woodsy quality on my table and in this dessert. Cranberries are the perfect choice for red fruit at this time of year. Cranberries are normally much too tart to eat on their own, so we’re going to candy them, which just means we’ll cook them in some sugar syrup. 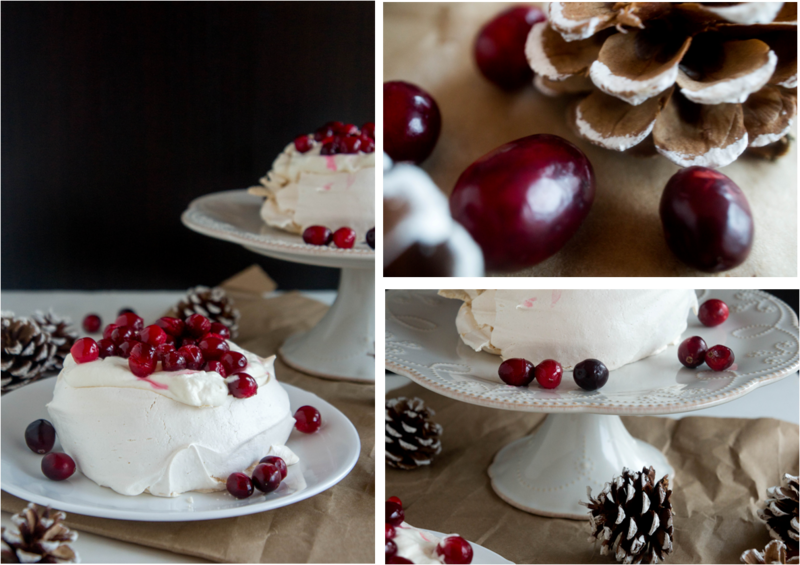 Bright red cranberries, dripping with syrup, are spooned over the whipped cream that tops this pavlova. Each bite is a crunchy meringue shell that melts away to reveal soft, pillowy insides. Every once in a while you’ll reach a tart, juicy fruit that keeps everything from being too sweet. I picture eating this cozily on a couch with a warm blanket, or in front of a wood fire, if you have one (lucky you!). Wash cranberries and get rid of any that are soft or rotten. Place in a heatproof bowl. We’re going to steam the cranberries, so in another pot or steamer that’s big enough to fit the bowl, bring ~2 inches of water to a boil. In the meantime, in a small pot, combine water and sugar and bring to a boil. Pour boiling syrup on top of cranberries. Place the bowl of cranberries into the pot or steamer of boiling water. Turn the heat down so the water stays at a simmer. Cover the bowl with a plate or something to keep it from floating inside the pot. Cover the pot and let cranberries steam for about 45 minutes. Remove from heat and let cool. Cover with plastic wrap and let cranberries sit in the syrup for 3-4 days before using. I was impatient and used mine early and in my opinion they were still deliciously sweetened. Use the cranberries right away or refrigerate still in the syrup. The syrup may become slightly jellied; this is fine. To use the berries, simply drain them, but keep the syrup! It works well in cocktails or for drizzling on pound cake, angel food cake, or over ice cream. In a large bowl with an electric mixer or stand mixer whip egg whites on high speed until frothy. Add cream of tartar and continue beating to soft peaks. Add pinch of salt, then sugar a little bit at a time until it is all incorporated. Continue whipping for about 7 minutes, or until you can’t feel any sugar granules when you rub a little bit of the meringue between your fingers. Add vanilla and whip until just incorporated. 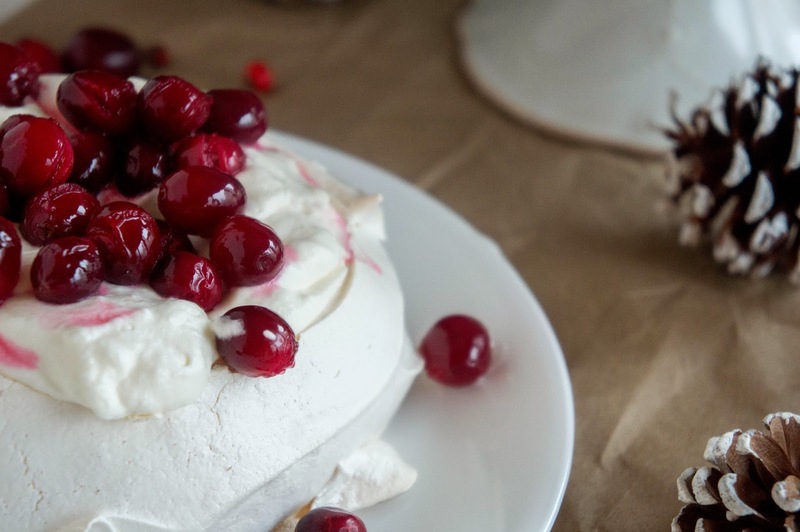 You should have a stiff, glossy, thick meringue. Dump the meringue onto a sheet pan lined with parchment paper and smooth into a 5-6 inch circle with a slight dent in the middle or two smaller 3-4 inch circles as I did this time. 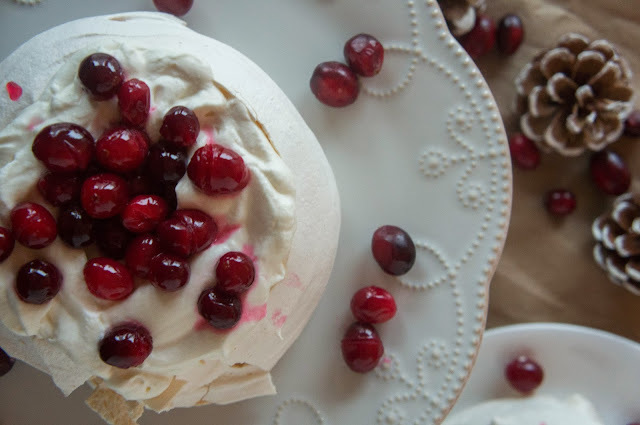 Keep in mind that the meringue may spread a little in the oven. If desired, the circle can be traced onto the parchment first and used as a guide for shaping. 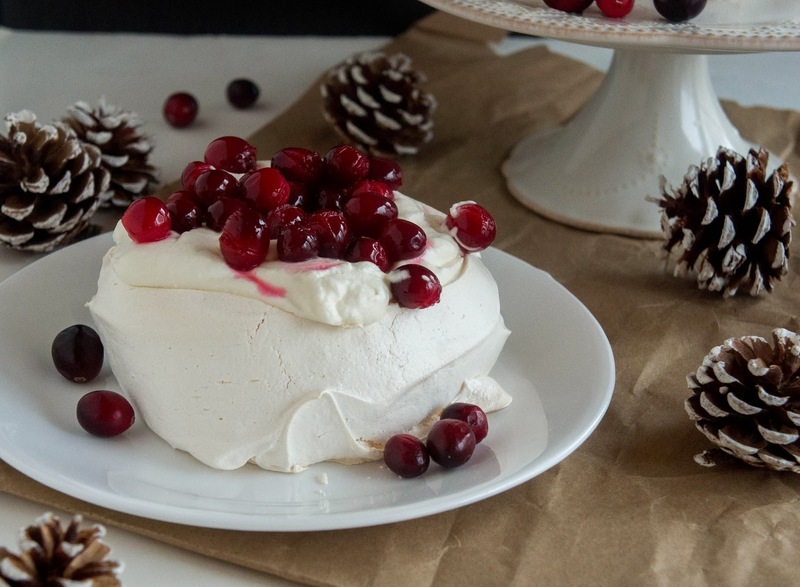 Bake in the center of the preheated oven for about 45 minutes or until the meringue is hard on the outside when gently pressed but still soft on the inside and just slightly off-white. Take out of the oven, remove meringue from the parchment, and cool completely on a rack. This will leave the meringue quite soft on the inside. 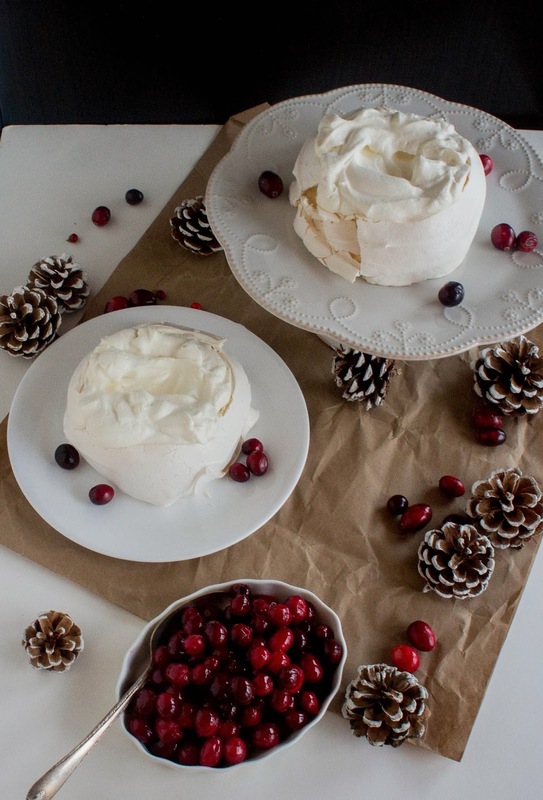 The meringue with likely crack upon cooling, revealing the pillowy-soft insides. Once cool, the meringue base can be stored in a dry, airtight container for about two days; however once the whipped cream hits it, it is better to consume as soon as possible. Meanwhile, whip the cream with sugar and vanilla to soft peaks. Spread whipped cream on top of the meringue base and spoon over drained, candied cranberries. Serve immediately. **You can make your own superfine or castor sugar by processing regular granulated sugar in a food processor for about 1 minute OR you can cheat and use regular sugar, just make sure it’s completely dissolved in the final meringue. You may need to beat a little longer.